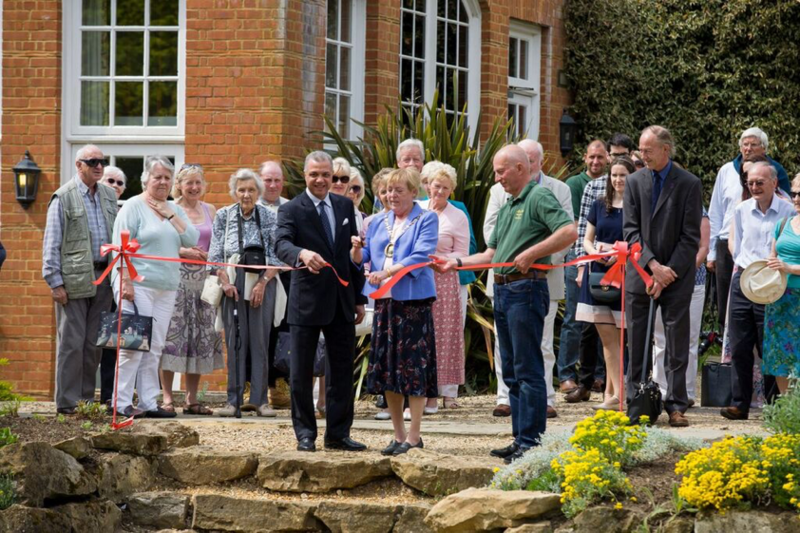 Historic countryside hotel Tylney Hall has re-opened its spectacular Water Gardens, following extensive restoration work to bring the gardens back to their former glory. The gardens were unveiled as part of the Hampshire hotel’s Garden Appreciation Day on Saturday 7 May, where visitors were not only able to view the Water Gardens but also explore the hotel’s 66 acres of beautifully landscaped gardens and take part in photography and gardening masterclasses. The lake at the Water Gardens, originally designed by Gertrude Jekyll, has undergone an extensive renovation over the winter of 2015 which included work on the dry stone wall and the revetment around the edge of the lake. Tylney Hall’s estate manager Paul Tattersdill has overseen the work, which is the latest stage in the 30-year garden restoration project his team have been working on. The official re-opening of the Water Gardens welcomed local VIP’s the Mayor of Basingstoke and Dean Cllr. Anne Court to see the result of the hotel’s hard work over the last few months. To mark the occasion Paul Tattersdill delivered an opening speech detailing the work that had been carried out during the past winter and announcing plans for further restoration work to the water gardens for this coming autumn. For more information on the hotel’s extensive gardens please visit www.tylneyhall.co.uk.